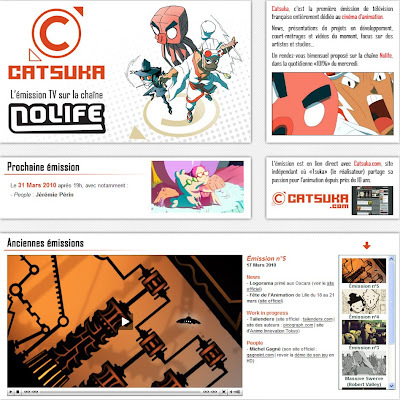 Catsuka is the first French television program entirely devoted to animation. Each episode features news, clips, short films, studio spotlights and artist profiles. I was honored to be the featured artist on the just released episode five (segment starts at 5:00). The episodes are in French but each one is filled with enough eye candy to keep your interest even if you can't understand the language. Congratulations! i love Catsuka, so great for this! Way to go Michel ! !